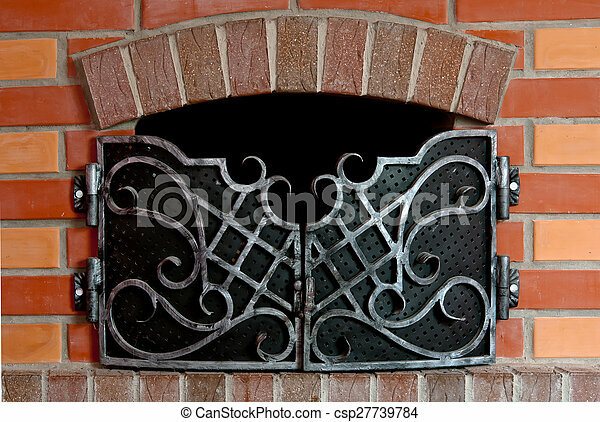 Close up of brick fireplace with an iron gate. 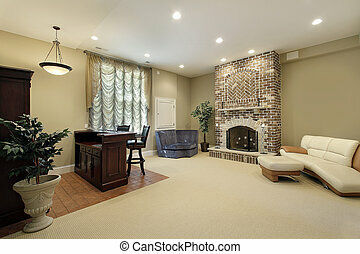 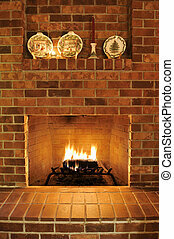 Simple clean brick fireplace with a single fire log burning out to give heat. 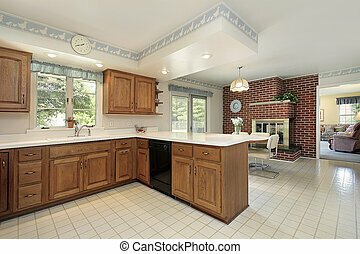 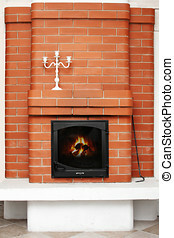 There are Christmas plates decorating it at the top, but those can be cropped out to remove any holiday type theme. 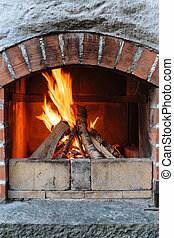 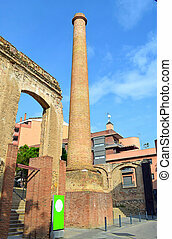 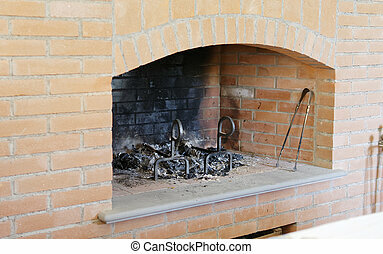 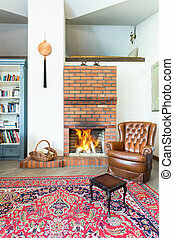 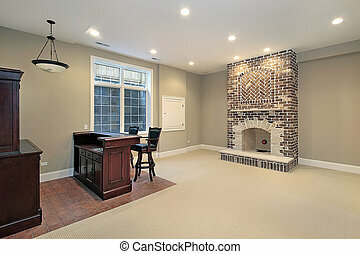 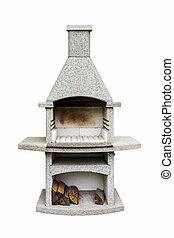 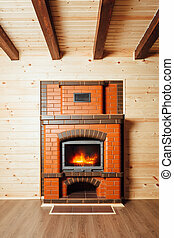 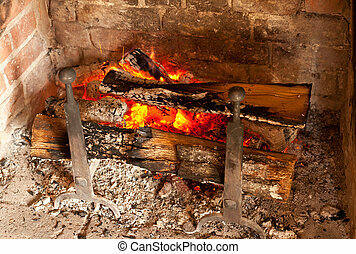 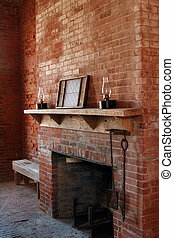 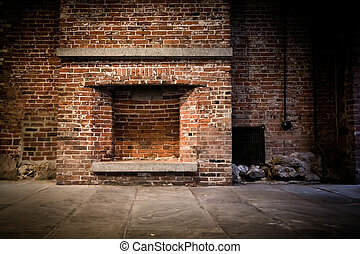 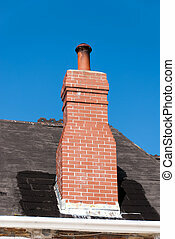 Photo of an outdoor brick fireplace with a fire blazing inside.